JCP&L outage map showing the approximate location of the power outage. 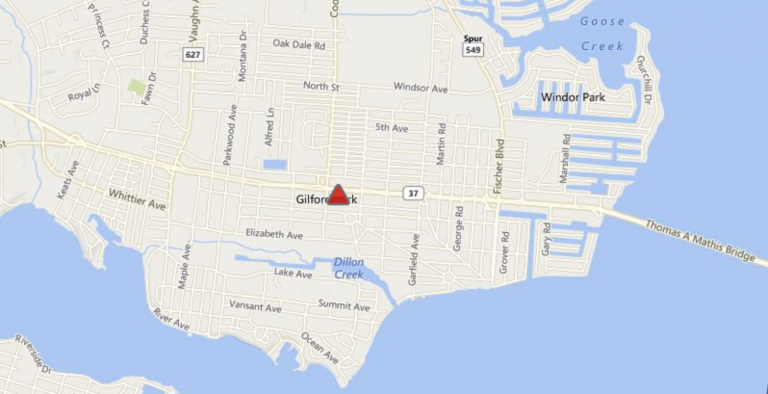 A power outage is impacting the southeastern portion of Toms River this morning. According to JCP&L, 2,148 utility customers, or five percent of the total municipal population, are without power as of 8:15 a.m.
Crews are currently working on restoration, which is expected by 9:30 a.m., according to the utility. The internment power outage since 7:30 a.m. is due to “unknown reasons,” said Ralph Stocco, Toms River Police Department spokesman. Police are directing traffic on Fischer Boulevard at the Route 37 and Windsor Avenue intersections, Stocco said.